The Doctor checks out the two-headed victim who is preserved in stasis. He learns she was protecting her daughter who was disguised as a boy because female two-headed people are important. Hey, wait. She’s not dead…she’s still alive! None of this matters because it was all an elaborate plot to trap the Doctor and get his Timelord will thing (remember that from the beginning of the season?). Because the murder was faked, Rigsy’s life wasn’t really in danger. But when Me sees that Clara now has the tattoo, she is unable to remove it; the terms of the contract changed when Clara got the tattoo transferred. 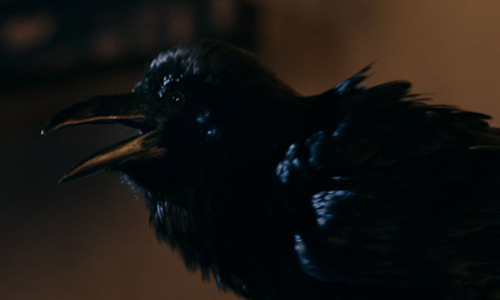 Seriously, this bird has a contract (admittedly it’s a being that takes the form of a raven for some reason, but whatever). 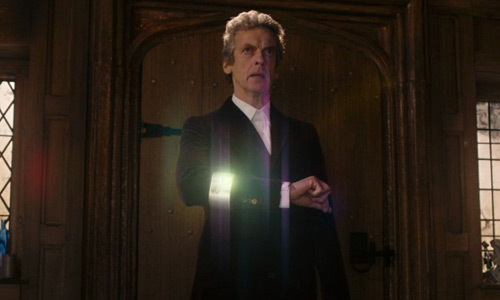 Anyway, there’s no way out and nothing anyone can do, so Clara dies and the Doctor is teleported elsewhere. 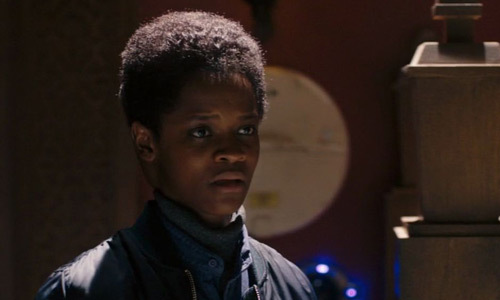 Doctor Who‘s been leaning more and more into fantasy and fairy tales since Moffat took over as showrunner, but these elements reached their apex in this episode, which felt way more magical than it should. Yes, there’s the famous Arthur C. Clarke quote that “sufficiently advanced technology is indistinguishable from magic,” but the “scientific” explanations felt half-assed. The raven, the tattoo, the two-headed lady – none of it really holds up, and one expects Doctor Who to be better than this. 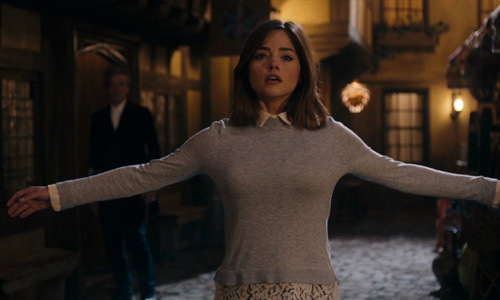 Clara dies in this episode and her death scene is really overdramatic and takes a long time to actually happen. Lots of goodbyes, preparing for the end, swelling music, the works. Maybe the length would be warranted if she was totally dead forever, full stop. But Clara dies as often as Daniel Jackson, so this definitely isn’t the end.